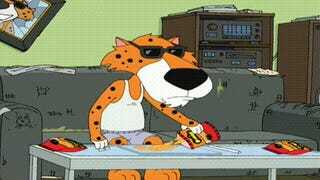 Meanwhile, Chester the Cheetah stays true to the slightly more adult reputation of his product and embraces all sorts of fluffy kinksters. OK, I of course get why Kellogg’s banned Twitter followers who send their most prominent animal representative actual furry erotica, given how their primary target group are kids - banning those furries who kept their fandom of the Tiger family friendly as well seems a bit dickish and practically invited the competition to prove themselves to be a bit more open minded. Which is Gr-r-r-reat!